Farm fields have varying soil types. Some soils are more productive and others are less – so how can a farmer know where to plant his best seed and how much to plant? Data analysis. Like other industries, farming is competitive and data analysis is crucial for optimizing decision making for the upcoming year. With each passing day, technology (data analysis) becomes more and more reliable and has become the core of modern-day farming. When we get harvest wrapped up at our farm and park the combine for winter, the first thing I do is pull the harvest data from our combine’s yield monitor. In the past, we transferred the data using a physical storage device such as a USB or memory card, but like the rest of the world’s industries, farming is becoming more cloud-based and we now have the convenience of transferring our data wirelessly. 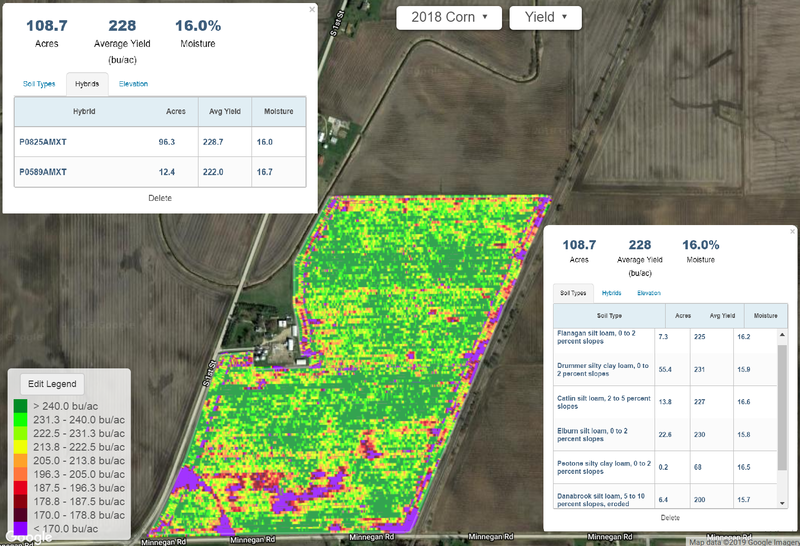 Once all of the planting, nitrogen application, weed control, and harvest data has been transferred to the office computer, we are able to analyze it from a number of different levels. The information that can be extracted is nearly limitless! We can look at where seed varieties were planted and the type of soil they were planted on, along with the planting date, speed, population and much more. We can take each of these attributes and compare them to other areas of the field where conditions may have been different and make notes on the things we can optimize for the upcoming year. 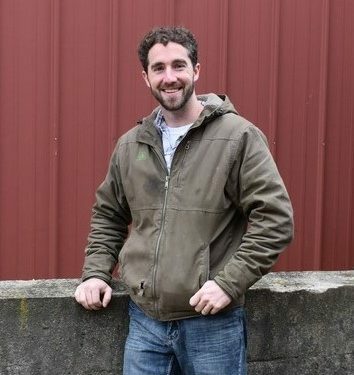 As farmers continue to collect data year after year, they will see a trend in their fields. By analyzing this data they can better utilize their fertilizer dollars by basing the amount of nitrogen applied on the productivity levels of the soil, and use those same soil productivity levels to determine their hybrid selection and population. Technology in agriculture is ever progressive and the tools we use for analyzing data are only going to improve. The farming industry has an exciting future! This is a yield map from our last harvest. Notice it gives the yield performance of the overall field as well as a breakdown of yield by soil type and hybrid. This image just skims the surface of what’s available for data analysis in agriculture. For example, in the bottom left corner of this field it shows a strip where our yield dropped below 170 bushels per acre. Using the data available to us we can look at this specific area and determine the cause of the yield drop (pipeline disturbance). The bottom right corner shows a low yield (wet area). One thing that’s important to note, however, is that data and technology won’t tell all – it’s still crucial for a farmer to get his boots on the ground and see what’s going on in his fields.